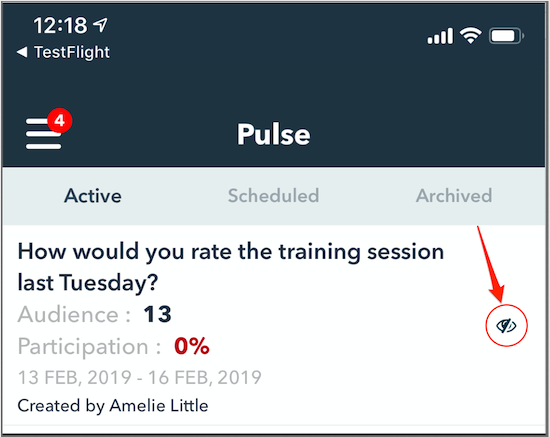 Pulse is a mobile based feature that allows you to reach specific groups of employees, to gather instant and targeted feedback and keep it all in one place. 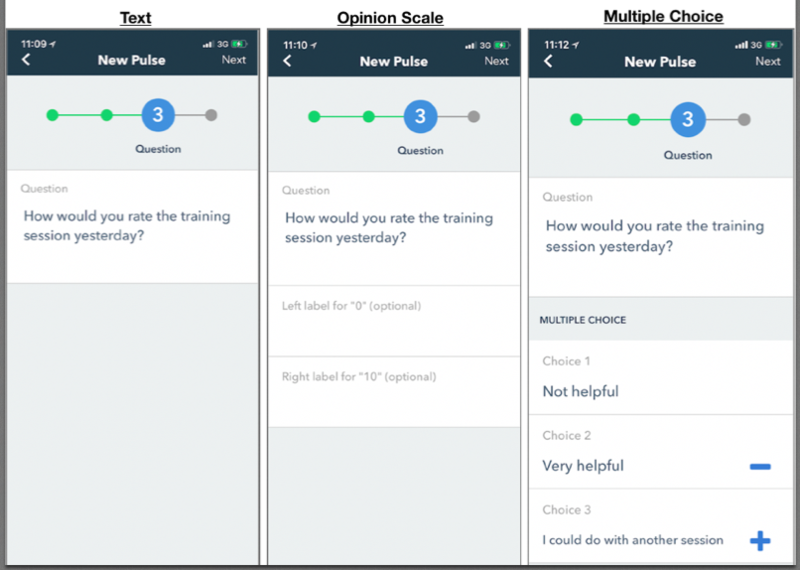 You can create questions with different answer formats (multiple choice, sliding scales or text) and send these to specific groups of employees, or your entire workforce. 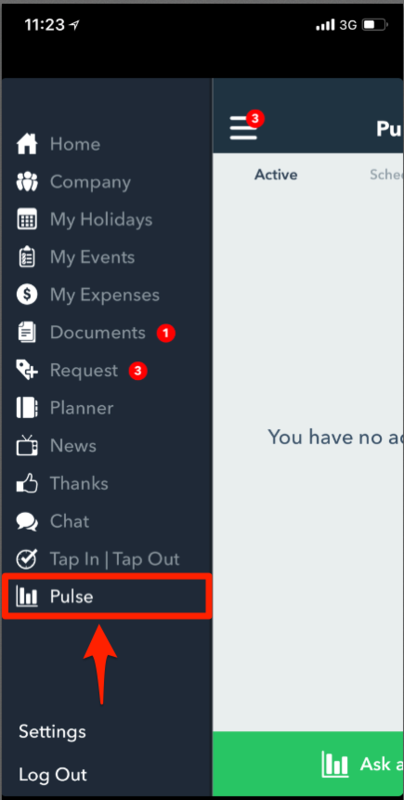 To create a Pulse Survey, log in to the Mobile app and click on the Pulse tab on the left hand side. 1. On the first page of the Pulse tab, click 'Ask a Question' to get started. 2. A group is a selection of employees who will be targeted for a specific Pulse Survey. From the screen shown below, you can click 'Create a new group' or select one previously set up. 4. Once you created have a group, click 'Done' in the top right-hand corner. 7. Once you have selected and created your Question/Answer type, click 'Next' in the top right-hand corner. 8. You can then select whether this Pulse should start immediately or for a later date. Here you can also select an End Date. 9. Use the 'Keep anonymous' button if you wish for employee answers to be anonymous. If marked, this data is not kept anywhere in the system - you will not be able to retrieve the employee's name who had answered the question at any time. You will not be able to click 'Done' in the top right-hand corner until an end date has been selected. Participation stats - Answers to your survey and how many remaining employees left to answer. Delete - You can delete your pulse survey. Admins can be selected within a group to answer a Pulse survey. If this is the case, they will not be able to edit this poll - only admins that have not been selected to participate can do this.